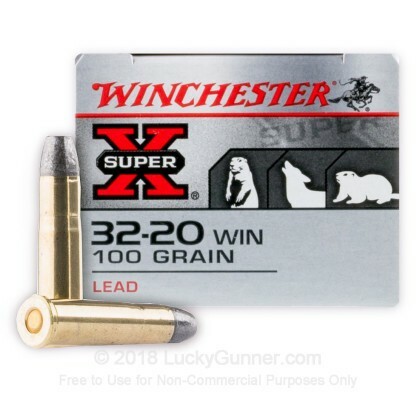 These .32 WCF (Winchester Center fire) cartridges are great for hunters using old school revolvers and lever-action rifles to take down coyotes, prairie dogs, and groundhogs! 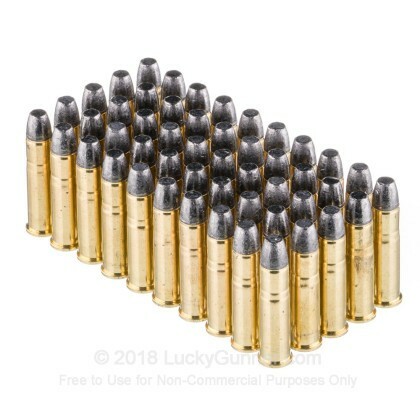 Each of these cartridges is constructed using a reloadable brass casing equipped with a clean-igniting Boxer primer and a measure of Winchester's own high-energy propellant. The round profile is topped with a bare lead projectile with a round-nose, flat-point (RNFP) shape. The RNFP bullet’s curved ogive helps it feed smoothly while its flat nose makes it safe for storage in tubular magazines. As a terminal benefit, the projectile’s flat point also grants it blunt entry into small, thin-skinned game; this creates a free-bleeding wound as the round flattens out during entry. 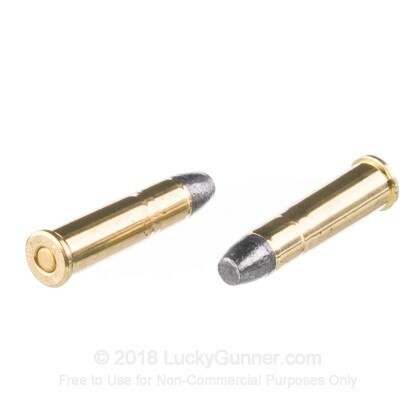 The bullet’s expansion prevents it from over-penetrating while transferring the majority of its energy to an animal’s vital organs in order to yield a quick, humane drop. Winchester has over 150 years of experience in caliber creation and cartridge manufacturing and remains one of the most recognized manufacturers in the United States today. Their Super-X ammunition covers a wide range of needs and offers proven performance at an affordable price. We don't have any reviews yet for this particular 32-20 WIN. 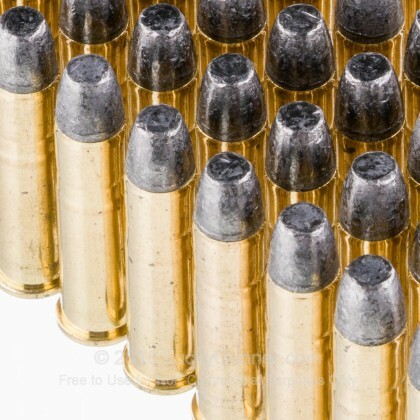 ammo from Winchester. If you'd like to be the first to review this particular 32-20 WIN. ammo from Winchester, fill out the form below. Q: Thinking of buying a Win 73 built in 1886. Can only shoot it with black powder 32-100. 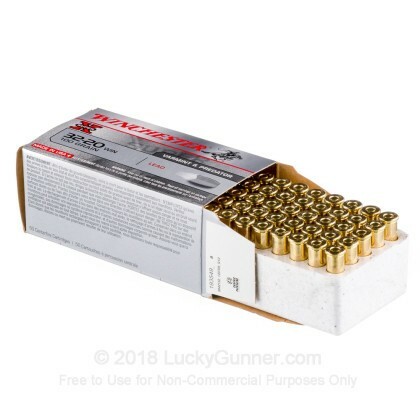 Would this ammo do it? If not, what would be my alternative? Thanks. A: Hi Jose. 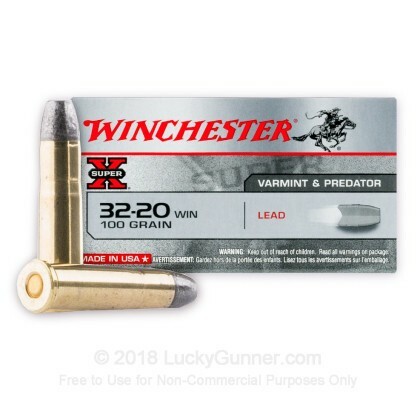 That Winchester should only be fired with the original 32/20 (.32 WCF) black powder loads or with "Cowboy Action" loads which use modern smokeless propellant but is loaded to the old BP pressure levels.